Do You Know What Makes STEEM So Great? This morning’s post talked about the hope that one day STEEM will not be so tied to the price action of BTC. Like most crypto currency, STEEM seems to follow whatever bitcoin does. It goes up, STEEM pumps. It goes down, STEEM falls…And this is the standard across most if not all cryptos. Things will change and I agree with Exyle that STEEM might be one of the first to break the chains per se…But maybe not for the reasons you think. Sure, SMT’s are coming. Yes, hardfork 20 is now a success. 3 second transactions? Yes please! We can have FUN with our STEEM! When you buy bitcoin, it goes up and goes down but other than spending it…That’s about all you can do with it. The development on bitcoin is very quiet and not much goes on unless it’s a debate between Charlie Lee and Roger Ver. You can sit on your bitcoin, hodl and look it at….Sounds exciting right? We have more development going on here than I could ever list in one blog post. More projects and dApps being created every day…And we’ve still got SMT’s to show up and add massive value to STEEM. So development is a live and well! But this weekend for example… @SteemMonsters is opening up for live battles! Yup, we get to PLAY with our STEEM!!! And it’s a real testament to how vibrant and alive this community is. While all this development is going on, and the promises for a bright future ahead…We can actually USE this stuff, have fun with it and incorporate it into our lives…Right now! But where was the utility? Could I actually USE the coins and tokens now? This question changed how I looked at crypto forever…. So I literally sold everything I had in crypto and started buying STEEM. It made sense. I believed and still believe in this project but more importantly…I could use the stuff! Thats what makes this place to great! We can HAVE FUN while still anticipating the huge potential it will have in the future. 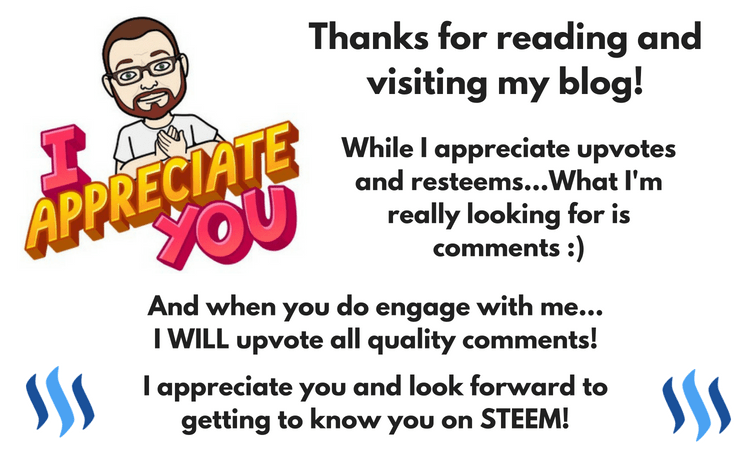 The Relationships You Build On STEEM…Are The Real Wealth!